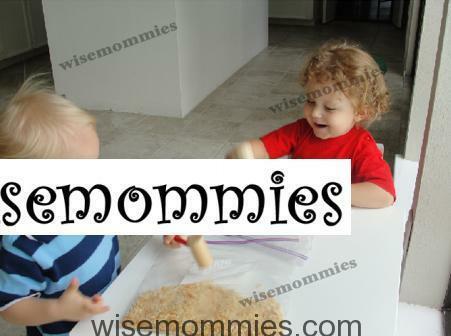 According to Gary Ezzo and Robert Bucknam, On Becoming Pre-Toddlerwise, “Excluding a medical condition, picky eaters are created, not born” Personally, I believe a little bit of both, born and made, with regard to personality and temperament (of the parent as well as the childJ). I believe that parents create picky eaters (made) but they can also stop a picky eater (born) from being made worse or even created. Parents can control the environment and understand that even if you think that your child has been born a picky eater, biology is not destiny. Either way, establishing parental guilt will not benefit anyone so let’s discuss solutions/resolutions. The following are clever ideas/tips, that I personally use, for preventing a picky eater. The age I started these hands on tricks with my son is also given. 6 months to present: At 6 months, I gave my child Acorn squash. Before feeding him, I showed him the bowl of squash, had him smell it several times, and talked about the color. I then let him dip his hands into it, feeling the texture, before and while feeding him the squash. I did this with all his food when introducing something new to him. 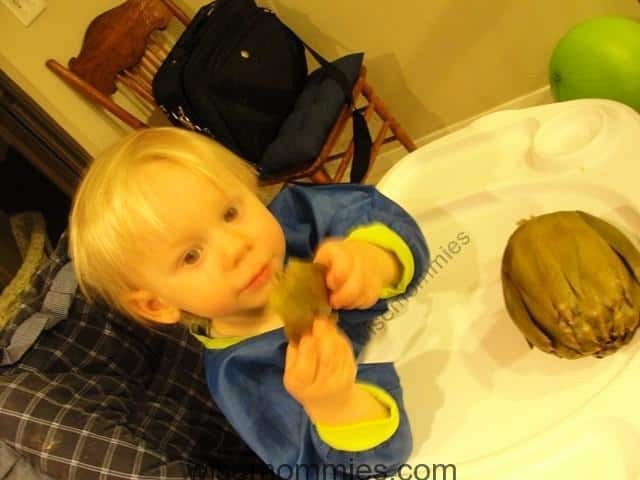 11 months to present: Gave peas in their pods for my son to take out and eat. He absolutely loves this. It is the food that I always take to restaurants or when I need him to be occupied allowing me to make an important phone call. It takes him at least 20 minutes to eat his peas. 12 months to present: Once my child was eating a certain fruit, I’d give him his bowl of cottage cheese or Greek yogurt for breakfast and let him drop in his own fruit; usually blueberries, mango, papaya, raspberries, or pear. 16 months to present: My son loves bananas so as soon as he was able to, I’d let him take and peel his own banana. 17 months to present: Gave grapes on the vine and let him take them off to eat. 19 months to present: At the kitchen sink, I wash off his morning fruit, usually a pear, mango or blueberries. Then I put a bowl of water at his toddler table so he can wash the fruit in his bowl of water. He then brings the fruit to me on a towel when it is clean, or I ask for it. I cut it up, and put it on a plate. He takes it to his highchair where he adds the fruit to his yogurt. *You could also have your child help wash the fruit with you at the kitchen sink and remember to have eveyone wash their hands before and after handling the fruit.